Barbara Walker is a British artist who lives and works in Birmingham. Her paintings and drawings of the human figure open up a dialogue with viewers concerning the notions about race identity, belonging, class, power and the politics of how we look at others. Working in a range of media and formats, from works on paper and canvas to large-scale wall installations, Walker is particularly concerned with social and political issues with particular reference to history and cultural differences in contemporary life. Her work often looks at the world around her, particularly what she sees reflected in the communities in which she lives and elsewhere. Walker’s recent solo exhibitions include Vanishing Point at Jerwood Gallery (2018), Shock and Awe at Midlands Arts Centre (2016), Sub Urban at the James Hockey Gallery, part of the University for the Creative Arts in Farnham (2015) and As Seen at Tiwani Contemporary, London, (2013). Forthcoming solo exhibition / residency is scheduled at Turner Contemporary in Margate (2019). Her works have been included in significant group exhibitions in the UK and internationally; exhibitions including Zeichen, MEWO Kunsthalle, Memmingen ( 2018), Diaspora Pavilion at the 57th Venice Biennale (2017), A Slice Through the World: Contemporary Artists’ Drawings at Modern Art Oxford (2018) and The Gallery of Small Things at the Dakar Biennale, Senegal (2018) She received the inaugural Evelyn Williams Drawing Award in 2017, in association with the Jerwood Charitable Foundation. Walker was awarded an MBE in the 2019 New Year Honours for services to British Art. Hew Locke was born in Edinburgh in 1959, lived in Guyana for his formative years, and returned to the UK to study in Falmouth and the RCA. He explores how nations fashion their identities through visual symbols of authority. He explores the imagery of ships as potent spiritual symbol, and an instrument of control in warfare, trade and culture. His fusing of historic sources with his own political or cultural concerns, via visual juxtapositions or through the re-working of a pre-existing object or photograph, leads to witty and innovative amalgamations of history and modernity. The merging of influences from The Caribbean and the UK leads to richly textured, vibrant pieces that stand on a crossroad of histories, cultures and media. Locke’s work is included in the collections of the Tate, Arts Council of England, Metropolitan Museum NY, Brooklyn Museum, New Art Gallery Walsall, V&A, Sheffield Museum of Art, British Museum, Henry Moore Institute, and the Government Art Collection, amongst others. Previous solo presentations include Hales Gallery, The V&A, New Art Gallery Walsall, Chisenhale Gallery, Rivington Place and the Folkestone Triennale (all UK), and The Luckman Gallery LA and Atlanta Contemporary Arts (in the US). He has been included in The Thessaloniki Biennale of Contemporary Art, The San Juan Triennal, The Guangzhou Triennial The Diaspora Pavilion in Venice, and shows at The Museum of Art and Design, New York, The Power Plant, Toronto, and the Palacio de Abrantes, Spain, amongst many others. Jessie Brennan is a London-based artist whose practice explores the inter-relations between people and places, informed by their social and political contexts and a direct engagement with the individuals who occupy them. She uses ethnography and drawing as critical methodologies for revealing urban social and spatial injustices, towards their productive political use in the form of exhibitions, publications and large-scale installations in the public realm. This has led her to become involved in projects, for example, with people on public housing estates and community gardens. Jessie graduated from the Royal College of Art in 2007. She has exhibited extensively in the UK and Europe, and her work is held in public and private collections including the Victoria & Albert Museum, London, and The Metropolitan Museum of Art, New York City. Recent selected exhibitions include: Re: development – Inside The Green Backyard, Carroll/Fletcher Onscreen, London (solo, 2017); If This Were to Be Lost, dalla Rosa Gallery, London (solo, 2016); RESIDENT, City Gallery & Museum, Peterborough (2016); Progress, The Foundling Museum, London (2014); Talents Contemporains, François Schneider Foundation, France (2014); Coup de Ville, WARP, Belgium (2013). Her authored books include Regeneration! (2015) and Re: development (2016). In 2016 Brennan was Visiting Research Fellow at The Bartlett, UCL. In spring 2017, the South London Gallery (SLG) invited her to make new work for their inaugural Open Plan residency on Pelican Estate. She is currently developing artwork for the Royal Docks Commission produced by UP Projects, which launches in spring 2019. Dr Rachel Dickinson is the Director for Education of the Guild of St George, the charity founded by John Ruskin in 1871. A Principal Lecturer at Manchester Metropolitan University, she teaches English literature from an interdisciplinary perspective. Her primary research interest is John Ruskin. Initially, this related to her PhD from Lancaster University on letters by Ruskin, which gave rise to an edited collection: John Ruskin’s Correspondence with Joan Severn: Sense and Nonsense Letters (Legenda 2008). In addition to publishing on Ruskin, she has given many lectures on him, been interviewed about him by BBC Radio 4 and Radio Scotland, and curated an exhibition ‘ “Teaching Silkworms to Spin”: John Ruskin and the Ethics of Textiles’ (Ruskin Library, Lancaster University 2013). Her current research interest is in Ruskin and textiles, and in Ruskin’s vision for sustainable living during the nineteenth century and how this can be reinterpreted for the twenty-first century in areas such as art, business management, crafts, ethical consumerism, museum curation, and even farming and land management. She is co-ordinating the Festival of Ruskin in Manchester 2019 and curating an exhibition ‘Ruskin’s Manchester: from Devil’s Dark to Beacon City’ at Manchester Metropolitan’s Special Collections (29 April – 23 August). Dr Jonathan Foyle illustrates his numerous books on the histories of English cathedrals with drawings as records, reconstructions, and reasoning. A graduate of Lincoln Art College, leading to degrees in Architecture, History of Art and Archaeology, he believes graphic arts are essential educational tools that cultivate observation, analysis, appreciation, creativity and memory, while finished work conveys personality as well as mere information. Unwilling to sacrifice his watercolours at the altar of computer-aided architectural design, he embarked on a career in supporting the crafted environment at Canterbury Cathedral and Hampton Court. On becoming CEO of World Monuments Fund (Britain) in 2007, he conceived an initiative called 'Drawn Together', using 'art carts' – wheeled boxes filled with art materials, to encourage families to spend more time in historic buildings through drawing. His own sketches have featured in numerous television programmes abroad and at home, like BBC4's 'Henry VIII: Patron or Plunderer?' Jonathan now lives near Bath and his consultancy work includes research on historic buildings, cultural tourism initiatives and writing features for the Financial Times Weekend. He is also proud to be an ambassador for QEST- the Queen Elizabeth Scholarship Trust, supporting vocational craftspeople. 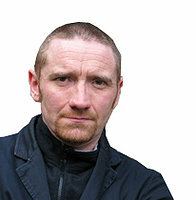 Tim Brennan has exhibited for 30 years. His concerns lie in the area of art’s politicized relationship to space, place, writing, photography, archives and performance. Brennan’s doctorate focused upon the methodology he developed surrounding the use of the guided walk to investigate our relations to place and history in new and imaginative ways. Brennan has exhibited internationally in Europe, North America and Australasia (including the 50th and 54th Venice Biennales). He has contributed 15 monograph publications and to multiple academic journals. In 2007 he was shortlisted for the Northern Art Prize (UK). Tim’s contribution to the landscape of art education is instrumental. In the 1990’s he established BA Visual Performance at the influential English art school Dartington and then MA Curating at Goldsmiths, London. Since 2000, Tim has developed new programmes and taught as a Lecturer, Head of Art & Design, and Associate Dean at the University of Sunderland and as Professor of Art and Director of Pre-Doctoral Studies at the College of Creative Arts, Massey University, New Zealand. Tim Brennan is Professor of Art and Head of the Department of Art at Manchester School of Art, Manchester Metroploitan University, UK. His recent exhibition at Art Rooms, Art Space in Nicosia formed a retrospective survey of new works made since 2015. For over twenty years, Kate Mason has worked consistently in a variety of roles across the arts, heritage, community, cultural and creative industries sectors. A strategist, persuader and cultural broker, she is a passionate advocate for the value of the arts as one of the key pillars of a balanced education and supports the belief that we all - regardless of age or background - have an entitlement to quality cultural learning. 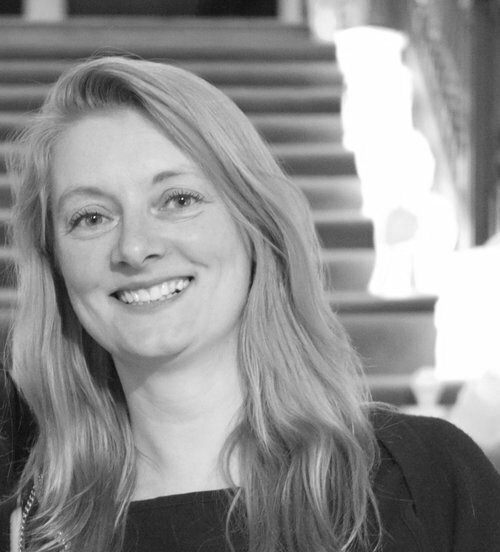 Kate early passion kick-started her career with an MA in Heritage & Museum Studies and a thesis around the Arts & Crafts Movement and the role and influence of William Morris and John Ruskin. Kate currently works at the arts education charity The Big Draw in her role as Director, channelling her personal passions in neat alignment in support of their visual literacy agenda. In 2018, Kate became Companion of The Guild of St George.